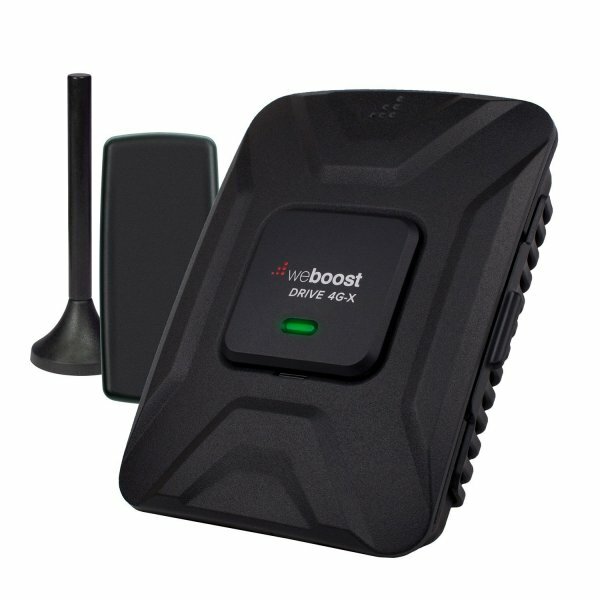 The weBoost Drive 4G-X is a cellular signal booster that improves 4G LTE and 3G cellular signals up to 32x for all cellular devices in cars, trucks, vans and RVs. Compatible with all mobile phones and wireless carriers in the U.S. and Canada, the Drive 4G-X allows users to enjoy outstanding call quality, fewer dead zones and faster data upload/download speeds while on the road. How It Works: The magic begins with the powerful exterior antenna, which magnetically attaches to the vehicle’s roof. This antenna reaches out to cellphone towers to receive signal with voice, text and data and transmits this signal to the booster. This then enhances cellular signal for all passengers in a vehicle and provides up to two hours of additional talk time in weak signal areas.